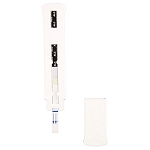 We offer a variety of high-quality accurate, alcohol test kits. Our tests are available in urine, and oral fluid (saliva) formats and are also available in bulk quantities. Urine Alcohol Tests with Plastic Cassettes is a one-time use test that detects the presence of alcohol in a urine sample. The test strip will change from a neutral color to a distinct color if alcohol is present over 0.04% BAC. It is inexpensive and easy to use. 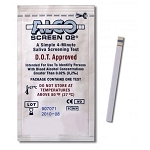 Oral Fluid (Saliva) Alcohol Tests are a very easy to use oral fluid test, which provides you with a BAC level within two minutes.